I am reading budget documents and will soon be writing more about the provincial government’s financial smoke and mirrors but I have initial comments. 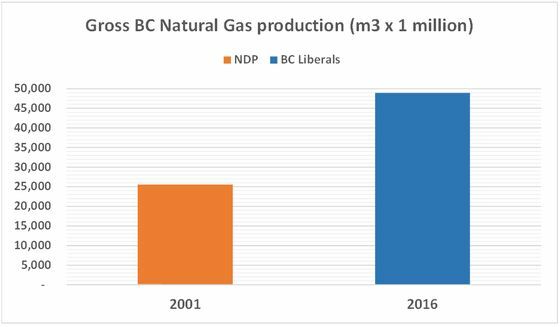 BC Liberals, particularly Premier Clark, are proving to be a fine investment for British Columbia’s natural gas producers. Today’s budget predicts gas royalties will be $151 million for the current fiscal year and $128 million for the next. Cash from sale of gas and petroleum rights is forecast to be less than $20 million a year for fiscal years 2016 to 2019, down from $2.4 billion in the year before Gordon Campbell was pushed from office. Government continues not to reveal the liability accrued for drilling and infrastructure credits owed producers. According to the last Auditor’s Report, that amount was $1.4 billion as of March 2015 and has been growing by more than $200 million a year. If that liability is recognized, the finance ministry’s numbers demonstrate that government is in a deficit position in its dealings with natural gas companies. The Natural Gas Development ministry budget, which was $401 million in 2015, grows to $444 million in 2016 and is forecast to continue increasing. the Payment would result in a debt to equity ratio exceeding 80:20, then the Payment is the greatest amount that can be paid without causing the debt to equity ratio to exceed 80:20. No Payment has been accrued as at September 30, 2015 as the Company’s debt to equity ratio is at the 80:20 cap prior to the calculation of the Payment. What may be planned is elimination of the 80:20 ratio. I find it amusing that government has a crown agency borrow money to pay a dividend that allows government to declare a fake surplus… and the Press Gallery gang applauds in admiration for the fiscal restraint. BC government contractual obligations ($102 billion going into the future), things like P3's and IPP power contracts, would they have been considered BC government debt in the past, before the privatization? Now conveniently showing up not as debt. Governments have an advantage of being able to make up their own accounting rules. The IPPs build generating facilities that sell power to government, which guarantees them a stream of payments over a number of decades that are not based on market value of electricity. Liberals pretend that does not create debt. Similarly, various capital projects have been constructed by the private sector and government pays for the asset over time. Again, a P3 financing arrangement, in Liberal eyes, does not create debt. Think about applying to a lender for a loan. They want to know your income, assets, debts AND your obligations. That is factored in when the lender assesses your financial position. The BC Government wants us to ignore obligations. “Quibble with her priorities all you want, what is not in dispute is that Ms. Clark has demonstrated a singular tough-mindedness when it’s come to managing the treasury. And in the kind of perilous, uncertain economic times in which we live, that is likely be a compelling and attractive feature for voters. Note how he arbitrarily frames the characteristics of the leaders for the next election. A fiscal tightwad demonstrating a singular tough-mindedness when it comes to minding the treasury versus someone who will seize someone else’s plan for a series of deficits. Match that construct with Christy’s unprecedented increase of the public debt since she’s been in office, her plans to increase it and other contractual commitments at the same rate for the foreseeable future, her shamefully dishonest budget today, and the numbers Norm provides above. See any compelling and attractive features? Or do you see some lies in Mr. Mason’s words? To his credit, Mr. Mason isn’t singing the praises of Ms. Clark these days. I hope he’ll keep the current playlist on a loop. The Japan LNG market will have evaporated by the time of the 2017 BC election..
Japan’s opening of its power market is pressuring utilities to get nuclear plants back on line quickly to bolster finances in the face of potentially greater competition, according to Bloomberg New Energy Finance. When Japan’s retail power market fully liberalizes in April, utilities that have nuclear power plants online, like Kansai Electric Power Co., will have an economic advantage, according to Miho Kurosaki, a Tokyo-based analyst with BNEF. Nuclear power is the cheapest form of electricity generation, allowing producers to cut rates and edge out new entrants and old rivals. Utilities could resume operations at 21 of Japan’s 43 functioning reactors by the end of 2017, according to one scenario forecast by BNEF. As many as 28 reactors could restart by the end of next year, according to BNEF’s most ambitious view. So far, three reactors have restarted under post-Fukushima safety rules. Shell just lost 3 million annual export tonnes of LNG….Demand forecasts are off by a factor of near 50%…s in 50% less gas than required..
BANGKOK (Reuters) – Thailand’s PTT Pcl plans to delay its purchase of liquefied natural gas (LNG) from Shell Eastern Trading (PTE) and BP Singapore PTE Ltd due to weaker-than expected domestic demand, its executive said on Tuesday. PTT is currently in discussions with the two suppliers regarding the delay, Noppadol Pinsupa, senior executive vice president for PTT’s gas business unit, told reporters. PTT, the country’s top energy firm, expects LNG imports of about 2.7 million tonnes this year, lower than a prior estimate of almost 5 million tonnes, the executive added. Thailand imported 2.6 million tonnes of LNG in 2015, he said. Longterm energy trends….Renewables will be cheaper than gas by 2025…or sooner. How is it the mainstream media can ignore your accurate number crunching and my detailed LNG research from far and wide…The mainstream media Ignores the best reporting and commentary in the province while producing copy that would garner grade school journalists students a failing grade..
How very sad for British Columbia.. The arguments Mason makes are so faulty that a reader has to question his motive. Nobody exposed to fact can pretend Christy Clark is a “singular tough-minded” financial manager. Would a tough minded financial manager have given employment to Mason's son and family members of other journalists who've not yet joined government directly? 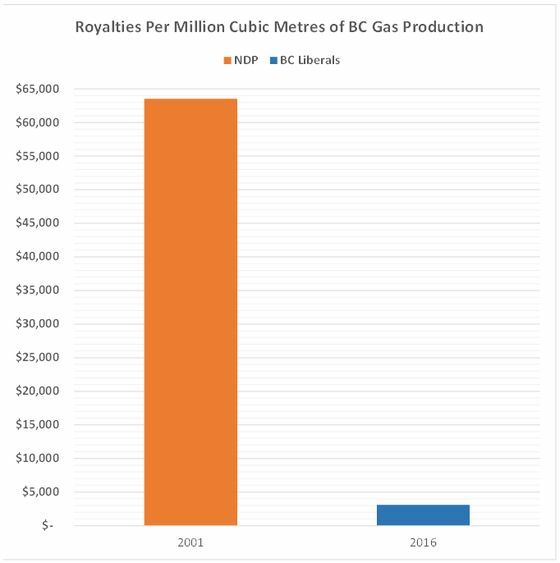 Would tough minded financial managers reduce the province's royalty take for each million cubic meters of gas by 93%, allowing an industry that, for years and years, contributed massive sums to treasury to double its output and pay nothing in economic rents? So in the past if BC Hydro sourced new power it would have borrowed to finance a new plant, showing up as government self-supported debt. But new power from IPPs is not considered debt, but it's money owed. So the govt is hiding debt. Does anyone believe, the so called budget, containing the highest debt load in provincial history? “Parasites”, the term fits, provincial resources squandered, for a very few. Deals and negotiations with a corrupt foreign country, going ahead with projects that are not needed, contracts for overpriced IPP power, the list of the rip offs continues…When are we as taxpayers going to put a stop to this? During the cold war, the form of political malfeasance we are witnessing in B.C. by the BC Liberal party and its corporate friends, would have had alarm bells ringing, at all of the high security levels in “any” western democratic country. The continued use of the media as a “propaganda machine”, by insiders, who are obviously part of the corrupt organization, should have garnered the attention of any security service including CSIS, by now. Its what's not being said, and being hid in plain sight, that causes one to wonder how far the corruption has spread. Someone or some group has paid a very high price, to place a “puppet” political party in power, to carry out the “systematic manipulation” of a population, and create the means to circumvent political checks and balances, as well as alter or change legislation to allow the continued corruption and malfeasance. This organized criminal element seems to be composed of a corporate group, a political group and a well planned propaganda group. The systematic removal of “wealth” under the guise of a serving democratic government, by the use of dubious means, and under the “illusion” of “law abiding “governance is a gross assault on the values and principles of all taxpayers in this province, not to mention their hard earned money. Does Mr. Mason seriously contend that the tough-minded Ms. Clark could balance her own housekeeping budget? Really? The woman is seriously beyond her capabilities in any respect. Obviously she is being directed and guided by some hidden cabal. We are in serious trouble! 1. Hiding $billions of debt in deferral accounts. 2. Borrowing $millions to provide a phony dividend to BC Govt, so Govt can show surplus. 3. Has added almost $10 billion debt since 2008, total debt now over $18 billion. 4. Owes over $56 billion for power from IPPs, which is counted as contractual obligations, not debt. Sadly, you are correct but the organization is adding debt faster now than at any time in the future. 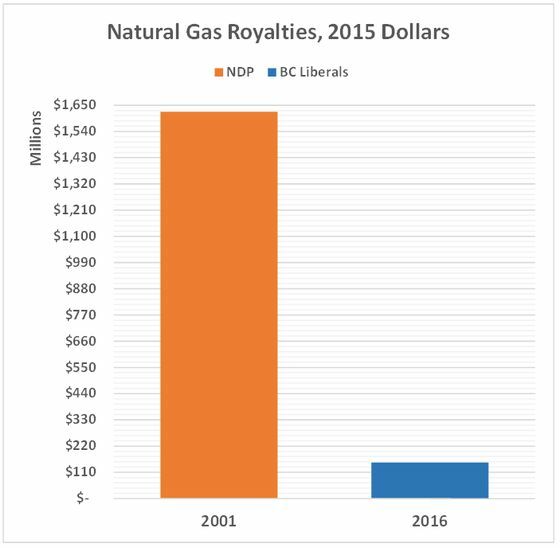 BC Hydro's capital spending is to create and deliver power at a substantial loss. This plan is not for the benefit of BC citizens; it is to profit a small number of companies mostly owned outside BC. BC Hydro's Site C Manager Michael Savidant used to work for Enron. The most successful are at Kinder Morgan. Who audits BC hydro's books? Running at a signifigant loss, continued debt being added to an already high level of debt, the owing of overinflated billions for IPP power, and on top of that the borrowing of millions of dollars, so that a corrupt government can “sell” itself as” fiscally responsible “. Add to this, a ridiculous budget, full of smoke and mirrors, what more proof do BC people need? This political party is a criminal organization, its not “politics”, when the manipulation is this deep and the malfeasance this obvious. These people need to be removed and jailed as quickly as possible. I'm personally disgusted by this whole political mess. We need a means to remove a ” corrupt govenment” long before the situation reaches this point. The current batch of “Liebrals” belongs behind bars, and in addition the legal method to get them there must leave out any option. What kind of democracy allows this situation to occur? Where are the control measures to prevent this kind of political abuse? There must be some sort of constitutional or federal legal protection for its citizenry, to protect them from this kind of nonsense. Jail, “is” the best place for these clowns. One can imagine the future. Not nice and unfortunately the likes of Christy and Co and the previous Federal government are not going to pay a penny. It's you and I, the taxpayers. In the meantime we're being sold off, given away like never before. Enough is enough. PM Trudeau, NO TO THE NEXT TRADE DEAL.